Our House has an Anchor: Pump Out? Yes. Helina's newest language skill is the art of asking questions. And, because she is so helpful, she accompanies her questions with her desired answer. For instance, if she wants a bottle, she'll say, "Ba-ba? Yes." Her "yes" is spoken in a tone that is equal parts assertive and adorable. This morning, the first inquiry of the day was "Pump out? Yes." 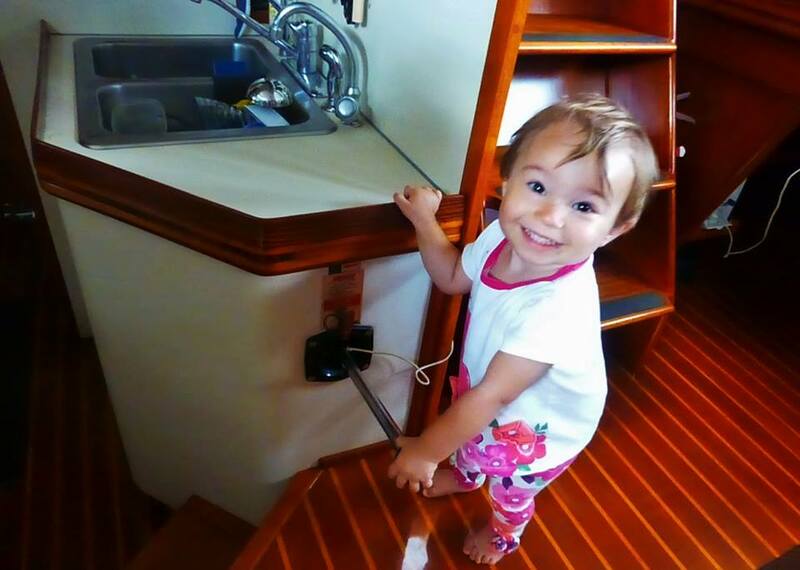 Initially, I assumed Helina was requesting to go above deck and wave at the pump-out boat; however, when I turned to her, I discovered she was not interested in the pump-out boat at all--she was trying to unhinge the manual bilge pump's lever (aka Helina's magic wand) from its holster. I'm proud to see Helina attempting to pull her own weight around here? Yes!